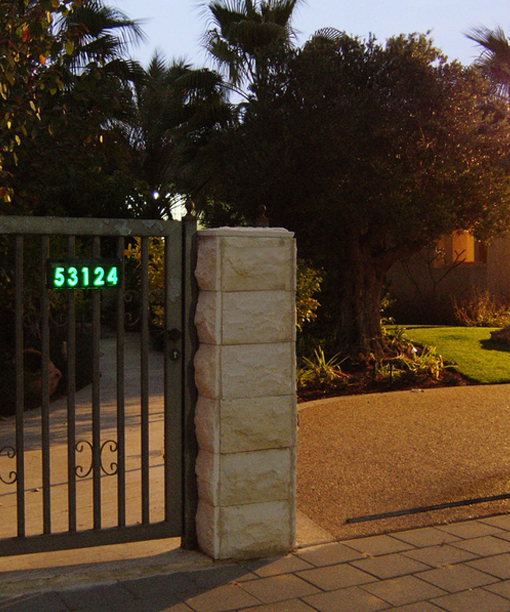 Make your address easily visible day and night with vivid green illumination. 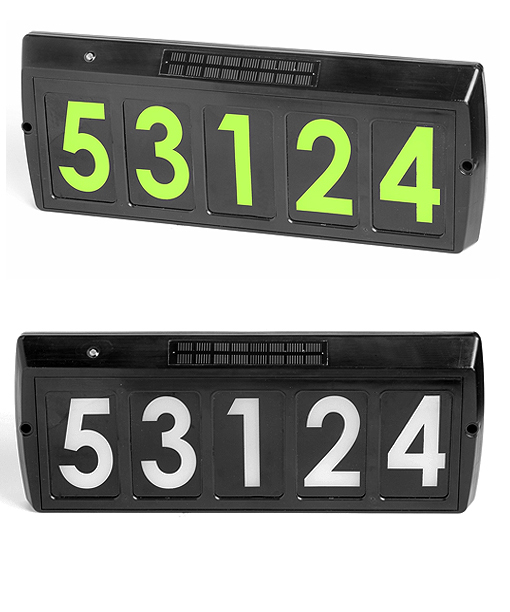 This solar light comes with a frame that is customizable and can hold up to five (5) numerical digits. Weather-resistant, it comes with hardware and instructions so the address light can be mounted on walls or staked in the ground. On just six hours of sun, it can provide reliable light for up to 15 hours. Just mount the light in a sunny rea and by day the solar panel sends energy to two rechargeable batteries. 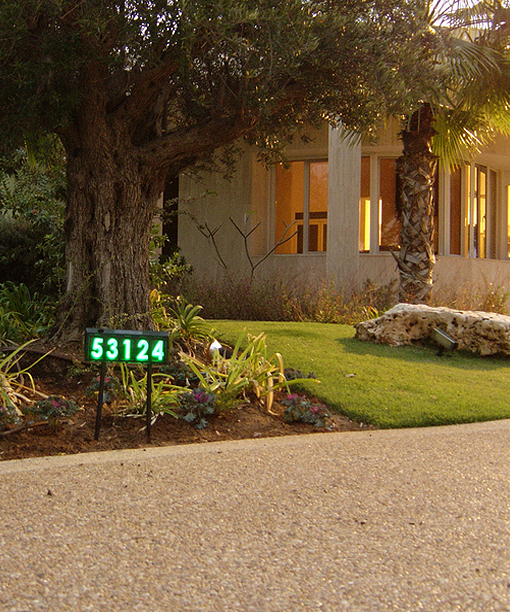 At dusk, the address light automatically turns on and stays bright for up to 15 hours.